This, most would flip to Groot, who in 2014 went from obscure to household name, thanks to his ability to get down to Motown classics without feet. But let's keep it comics for a minute, because hey, that's what we are here for. THE CLOSE CONTENDERS Rai re/launched his own future-based series for the 'new Valiant', realising sinister plans are behind Father's efforts to have him protect the floating city of Japan. DC's Multiversity is seeing the reappearance of too many greats to be left out. Harbinger, one of their most underused characters perfectly set up that 'Crisis' feeling, by appearing in a few short panels. In IDW's Transformers: Primacy, Decepticon plans to use Trypticon hit a snag, when Optimus Prime discovered Omega Supreme in a barren wasteland and convinced him his true post was elsewhere. It took nads to launch a series based on terrigen mist powered royal family, the Inhumans, without Black Bolt, but the debut issues of Marvel's Inhuman found the throne rarely felt vacated. No longer content standing to the left of her husband, the mother of her people answered the call. Despite having been around for decades, in 2014 I read and saw Medusa for the very first time. The Queen's comeback was only a complete success because it was as mastered in words as it was in pen. 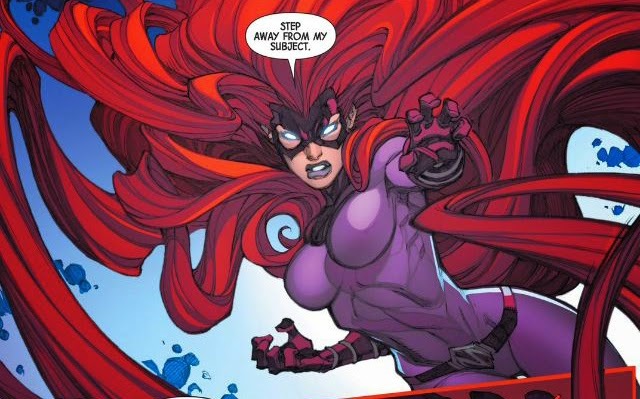 Artist Joe Madureira created another character for whom his work will be remembered for, by giving her iconic hair fluidity and morphing it into weapons and shapes not seen in the character's history. Writer Charles Soule backed up Joe Mad's creativity with the tale of a woman with a fierce backbone, yet fears of her own, trying to keep a kingdom from falling apart while the world turns upon them. Her 'diplomatic talks' with Captain America while the duo take on Hydra is a perfect example of this. 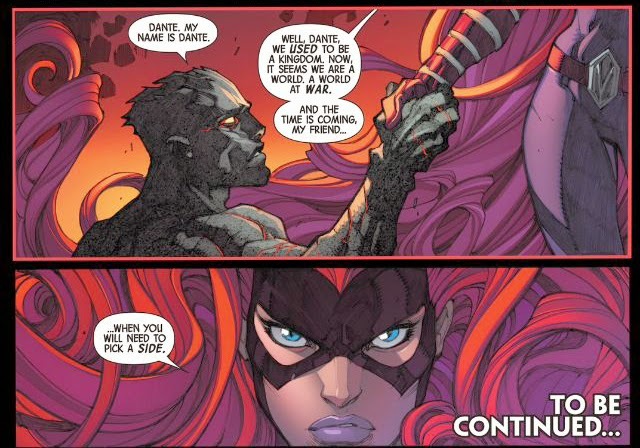 If Inhumans weren't already marked for Hollywood before Inhuman #1 came out, they sure would've been moments after, thanks to their Queen. Hopefully Sleepwalker makes next year's list with his surprise inclusion in one of the last issues of FF. It'd be down right criminal to not capitilize and use him more after that. I guess Deathlok for me, based on him being so damn popular on Agents of SHIELD to warrent another go-round on the solo title express. Ooohhhhhh good call! Something tells me with all the Secret Wars and Convergences happening next year, 'Best Comeback' is going to be a pretty hard choice! No kidding Dan. I have no idea what's to come from either of those events, especially who. Hell, and I know this is a long-shot, if whole universes like pre-NU52 come back, or what the end result of Secret Wars will be either. I know one thing, 2015 promises to shock us that;s for sure.